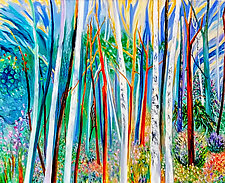 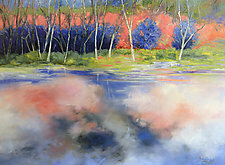 "I have been inspired by the landscapes of Vermont and Texas, and how light, color, and form create a sense of place." 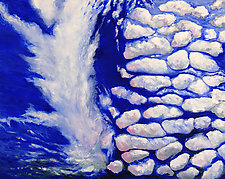 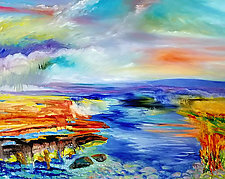 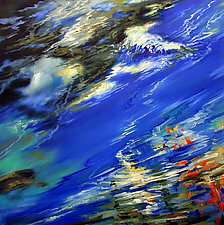 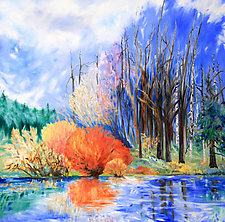 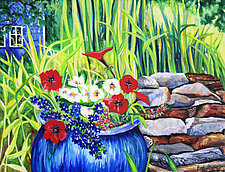 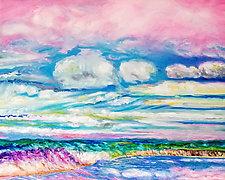 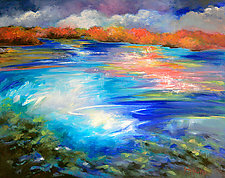 Judy Hawkins paints bold and colorful landscapes dominated by dramatic clouds and unexpected color. 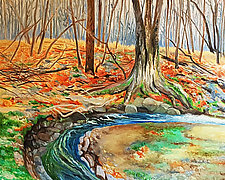 Hawkins begins each oil painting at the top and works her way down, working quickly to establish mood through color and composition. 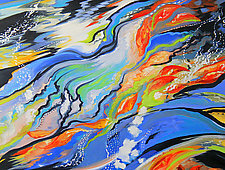 She allows the paint, drips and color combinations to guide her vision for each piece. 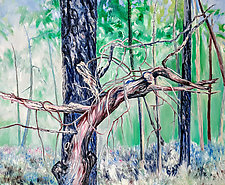 Hawkins has painted since she was six years old. 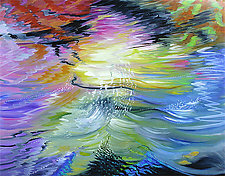 She attended Boston University School of Fine Arts, The Brooklyn Museum School, and Windham College, where she majored in art and later taught design and drawing.